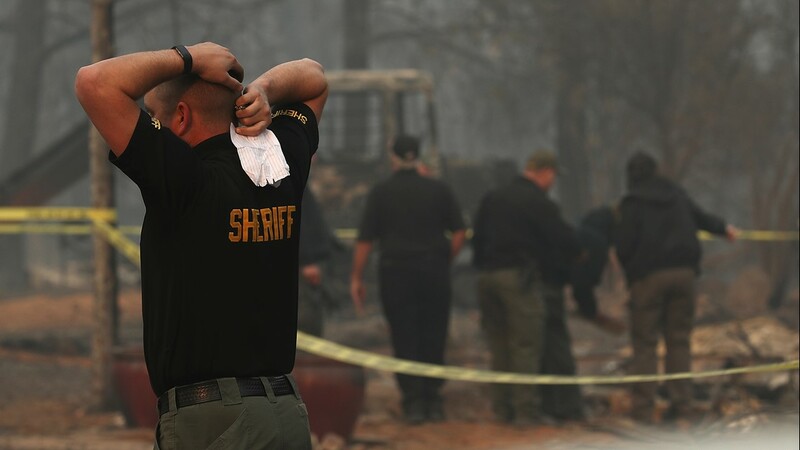 Butte County Sheriff Kory Honea has confirmed an additional 6 fatalities from the Camp Fire, which brings the death toll to 48. 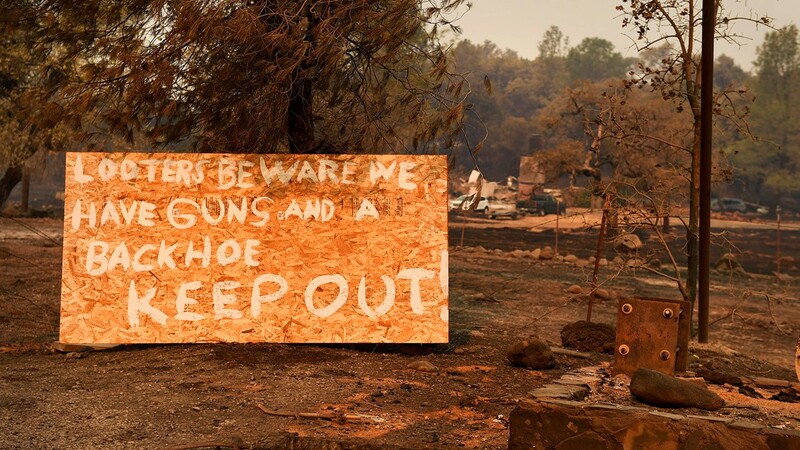 A message board at a shelter for the many people who fled California's deadliest wildfire is filled with photos of the missing, as well as pleas for any information about relatives and friends. "I hope you are okay," reads one handwritten note on the board filled with white and yellow sheets of notebook paper. Another had a picture of a missing man: "If seen, please have him call." Authorities on Tuesday reported six more fatalities from the Northern California blaze, bringing the total number of dead so far to 48. They haven't disclosed the total number still missing, but earlier in the week that figure was more than 200. "We want to be able to cover as much ground as quickly as we possibly can," he said. "This is a very difficult task." Greg Gibson was one of the people searching the message board Tuesday, hoping to find information about his neighbors. They've been reported missing, but he doesn't know if they tried to escape or hesitated a few minutes longer than he did before fleeing Paradise, the town of 27,000 which was consumed last Thursday. 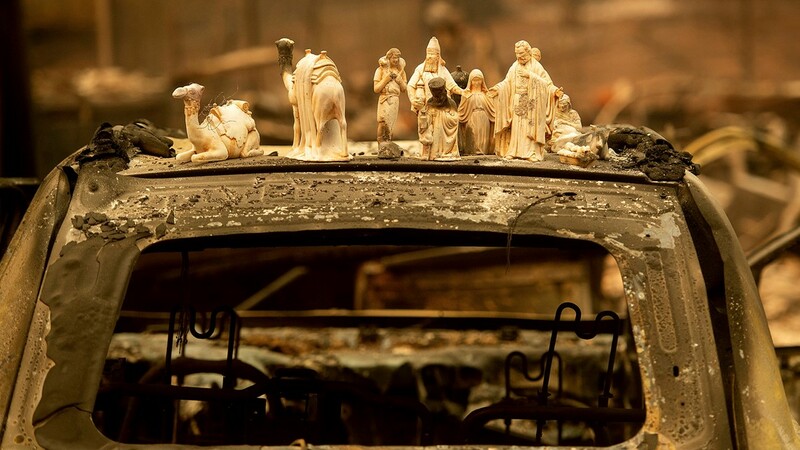 About 7,700 homes were destroyed. "It happened so fast. It would have been such an easy decision to stay, but it was the wrong choice," Gibson said from the Neighborhood Church in Chico, California. More than 1,000 people were at shelters set up for evacuees. Inside the church, evacuee Harold Taylor chatted with newfound friends. Taylor, a 72-year-old Vietnam veteran who walks with a cane, said he received a call Thursday morning to evacuate immediately. He saw the flames leaping up behind his house, left with the clothes on his back and barely made it out alive. Along the way, he tried to convince his neighbor to get in his car and evacuate with him, but the neighbor declined. He doesn't know what happened to his friend. "We didn't have 10 minutes to get out of there," he said. 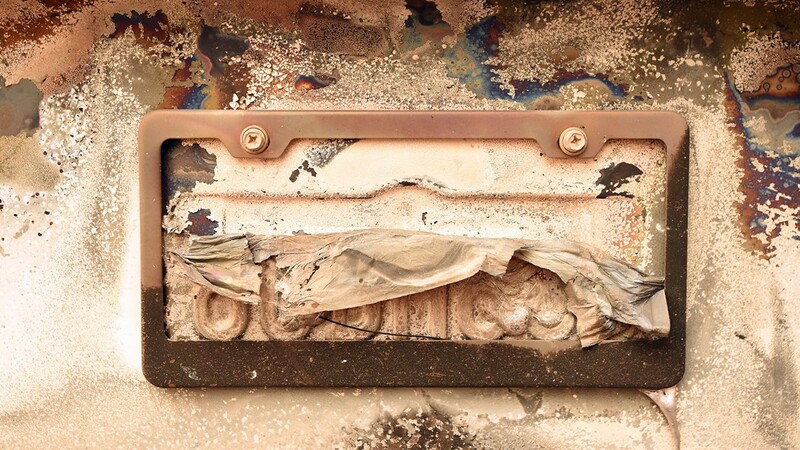 "It was already in flames downtown, all the local restaurants and stuff," he said. "In many circumstances, without rapid DNA technology, it's just such a lengthy process," says Frank DePaolo, a deputy commissioner of the New York City medical examiners' office, which has been at the forefront of the science of identifying human remains since 9/11 and is exploring how it might use a rapid DNA device. Interior Secretary Ryan Zinke said he canceled a trip to Asia and will visit the fire zones Wednesday and Thursday. The cause of the fires remained under investigation, but they broke out around the time and place two utilities reported equipment trouble. Gov.-elect Gavin Newsom, who takes office in January, sidestepped questions about what action should be taken against utilities if their power lines are found to be responsible. 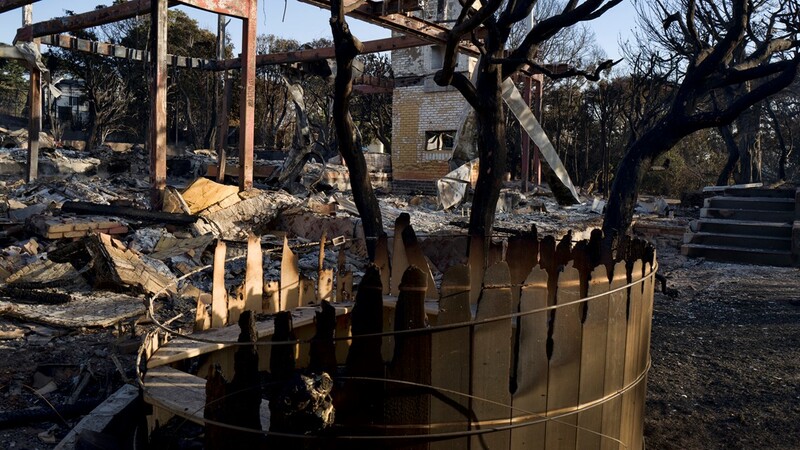 People who lost homes in the Northern California blaze sued Pacific Gas & Electric Co. Tuesday, accusing the utility of negligence and blaming it for the fire. An email to PG&E was not immediately returned. 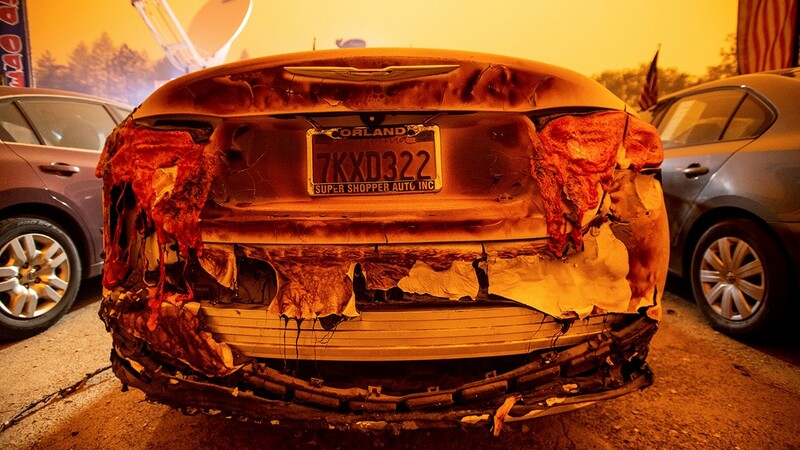 Her next-door neighbors opened the back gate so her three dogs could escape before they fled the flames and the dogs were picked up several days later waiting patiently in the charred remains of their home, she said. Rawlings learned on Tuesday morning — after days of uncertainty — that her "Smurf blue" home in Magalia was burnt to the ground. "Before, you always have hope. You don't want to give up. But now we know," she said. 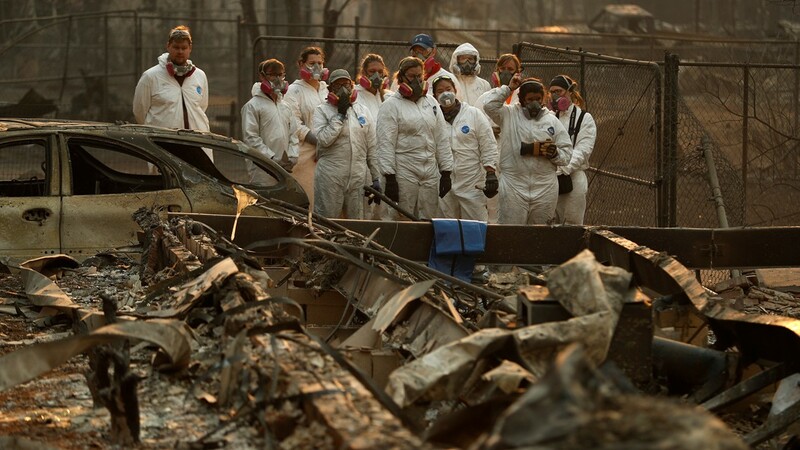 The Butte County Sheriff's Office released a partial list of the people still missing in the Camp Fire, California's deadliest in modern history. Sheriff Kory Honea released the list of 100 names to the Chico Enterprise-Record, the Record Searchlight/Redding.com and a select group of other local newspapers Tuesday. Click here for the partial list. 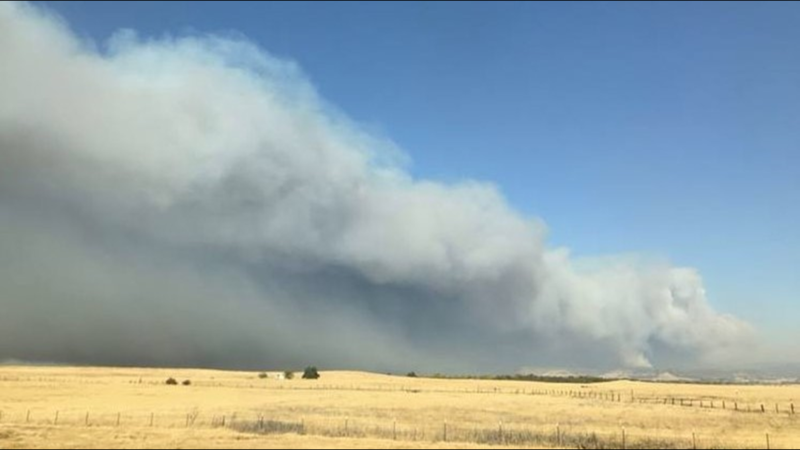 Looking toward a day when residents will once again be able to return to their homes, Butte County officials cautioned them to enter these affected areas at their own risk due to no resources being available. 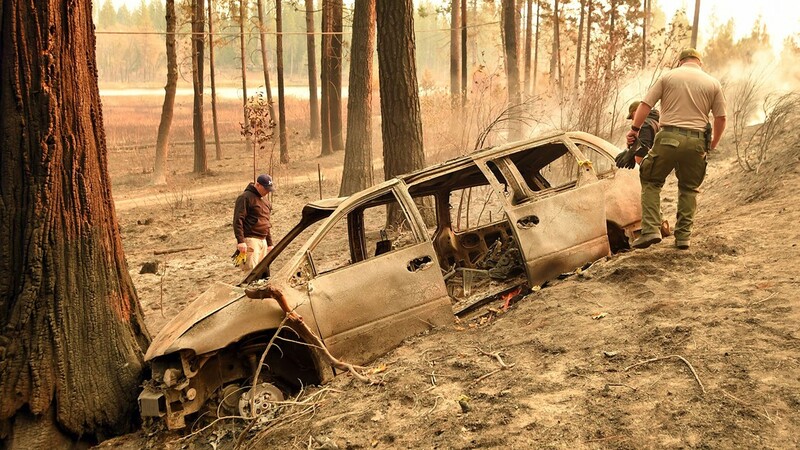 Officials had four areas of concern which included hazardous debris that may still contain heat, property clean up, hazardous to extremely hazardous tree damage, and food safety. They advised that food found at home should be discarded. Regarding missing persons, the sheriff’s office will be publishing a list of missing people and requesting 100 national guard troops to help with the search for human remains. This will allow them cover as much ground as quickly as possible. At the end of a Tuesday press conference, Sheriff Honea confirmed an additional six human remains were recovered in the town of Paradise. 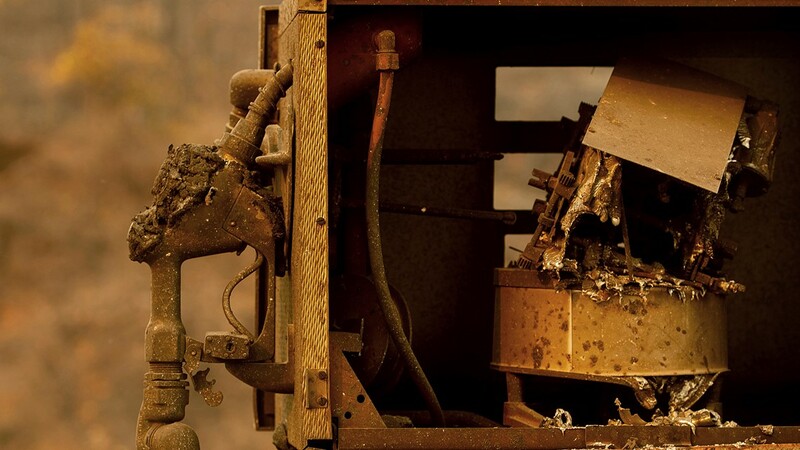 They were all found in homes. Sheriff Kory Honea also confirmed that 6 people have been arrested for crimes including looting, being in evacuation zones, being in possession of suspected stolen property. Burns and Salisbury were arrested on charges of being a felon in possession of a firearm, possession of an assault weapon, possession of a fully automatic weapon, possession of a controlled substance while armed, possession of ammunition, and entering into an evacuated area. King and Brown were both arrested on charges of possession of a controlled substance, and possession of drug paraphernalia. Tinnel Jr. and Sizer were both arrested and charged with vehicle theft, possession of a stolen vehicle, and looting. Butte County Sheriff Kory Honea has confirmed an additional 6 human remains have been recovered. The remains were found in Paradise and were all located in homes. 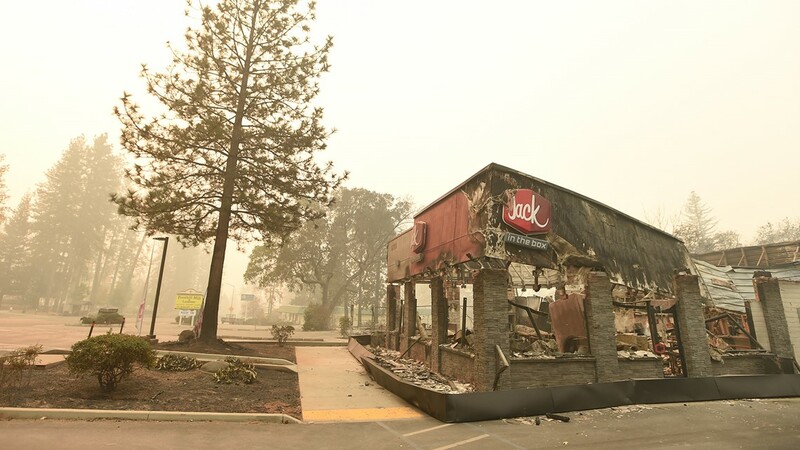 This brings the Camp Fire to 48 fatalities. 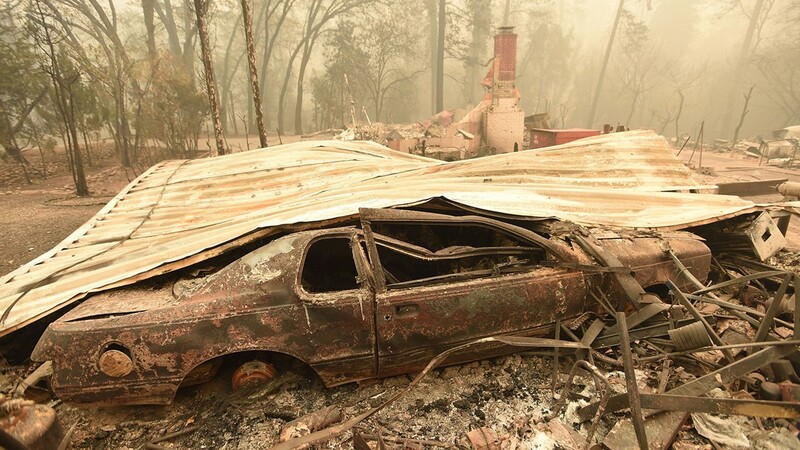 CAL FIRE spokesman Steve Kaufmann says a total of 8,817 structures have been destroyed due to the Camp Fire. 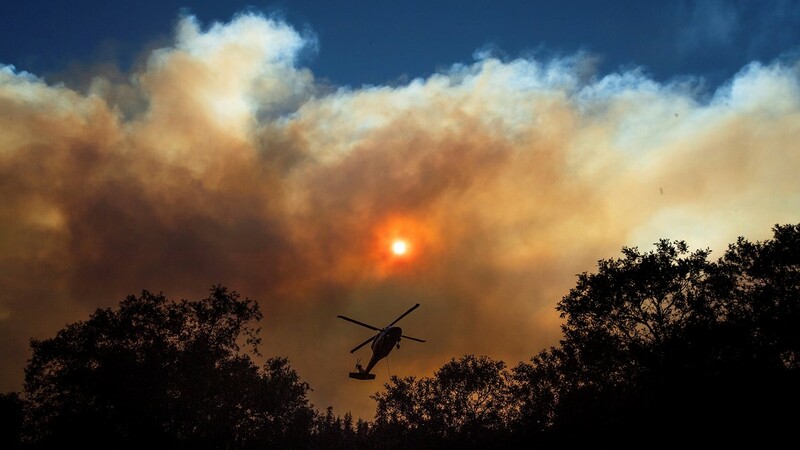 The fire's acreage has increased to 130,000 with containment at 35 percent. 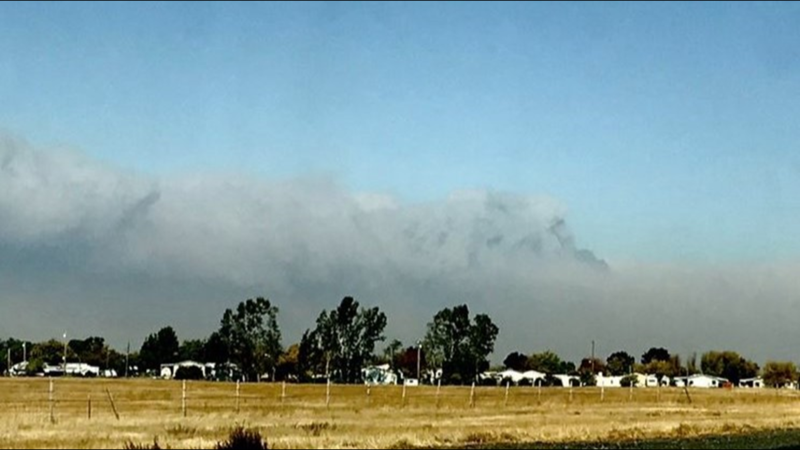 Butte County Public Health department is advising parents to keep their children safe from the wildfire smoke. Parents should keep children safe by staying indoors and preventing indoor air pollution. Butte County Public Health suggests following doctors directions regarding medicines and asthma management plans and calling the doctor if symptoms get worse. 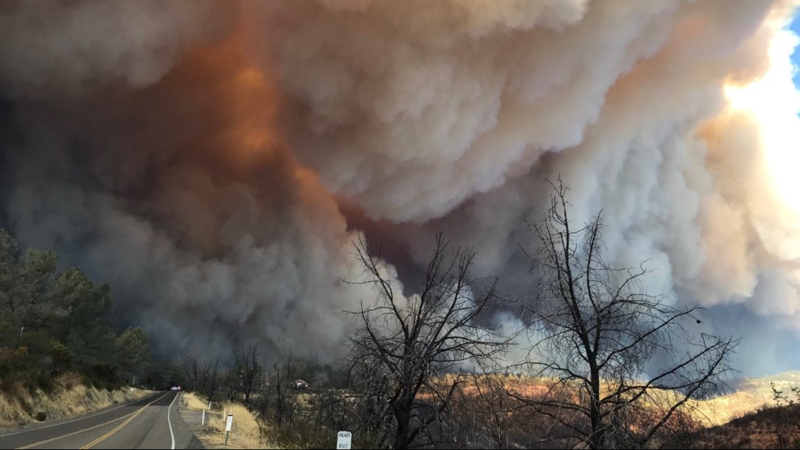 Victims of the Camp Fire who lost important documents like birth certificates, marriage certificates, or social security cards can contact the Butte County Clerk-Recorder for help in getting certified copies. These documents may be necessary to collect aid or for insurance claims. 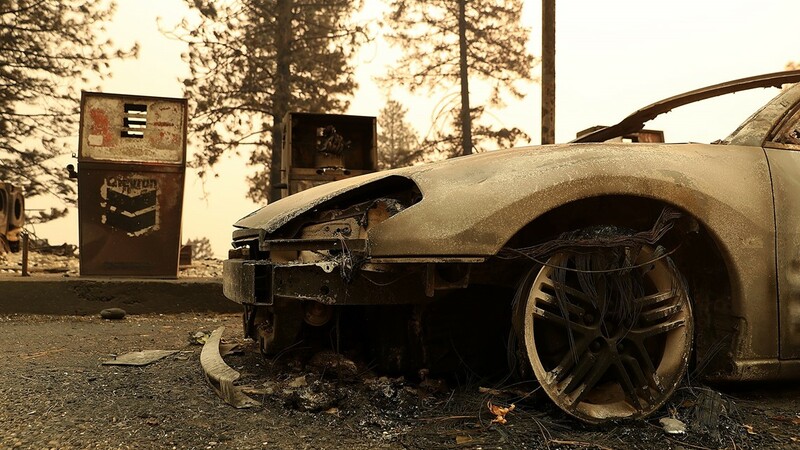 If you were affected by the #CampFire please contact our office so that we can assist in replacing your copies of vital records or other official records. 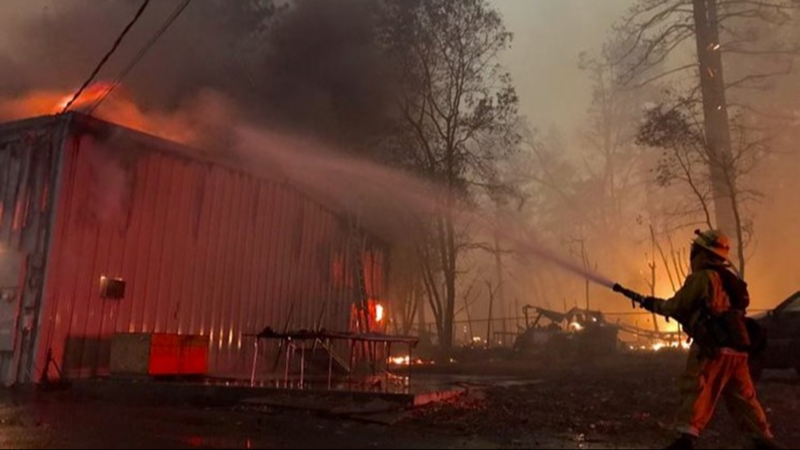 The Camp Fire has impacted multiple state parks in the area. 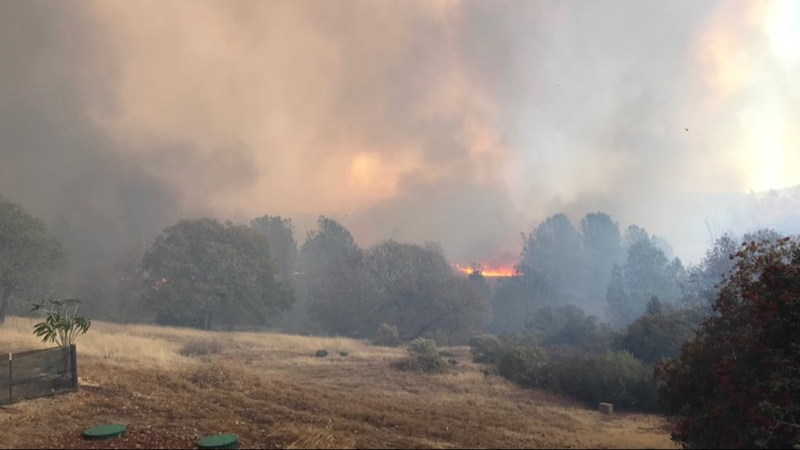 According to the California State Parks Department, some parks were closed out of precaution due to the California wildfires, but some like Lake Oroville State Recreation Area did see some impacts. Active fires remain at the Lime Saddle Campground, Nelson Bar day-use area, Dark canyon and Vinton Gulch cartop launch areas. The fire is currently burning north of the marina, however, the marina itself is said to be safe. 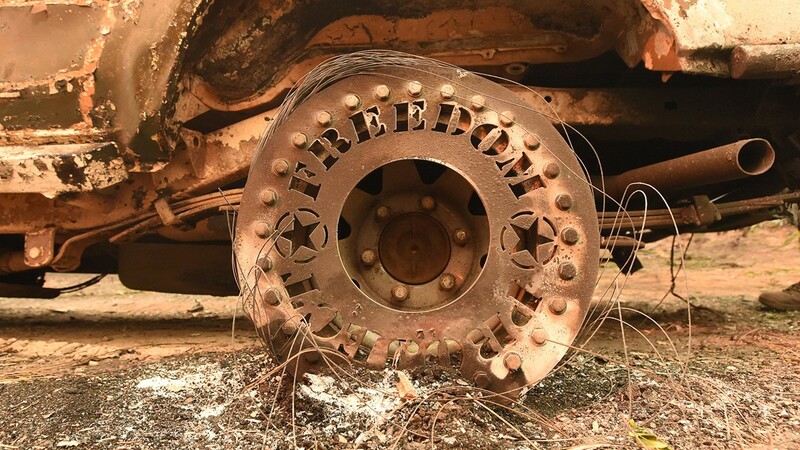 Thermalito North and South Forebays and the visitor center have been reopened, and Bidwell Canyon is open but only to allow residents to check on their houseboats. No boats are allowed on the water due to fire suppression activities. According to the Department of Water Resources (DWR), there is no threat to the Oroville Dam. DWR is taking precautions to make sure the water infrastructure, power plants, and power lines stay safe. The Oroville spillways and Thermalito construction operations have been shut down, and at-risk areas are being wetted down. In case a power outage or loss of power lines occurs, backup generators are also being placed in Oroville Field Division. In the event that facilities have to be evacuated, plans are being created to manage State Water Project operations remotely. Communications in the town of Paradise are still down. These will serve as the primary contacts for residents until communications are restored. 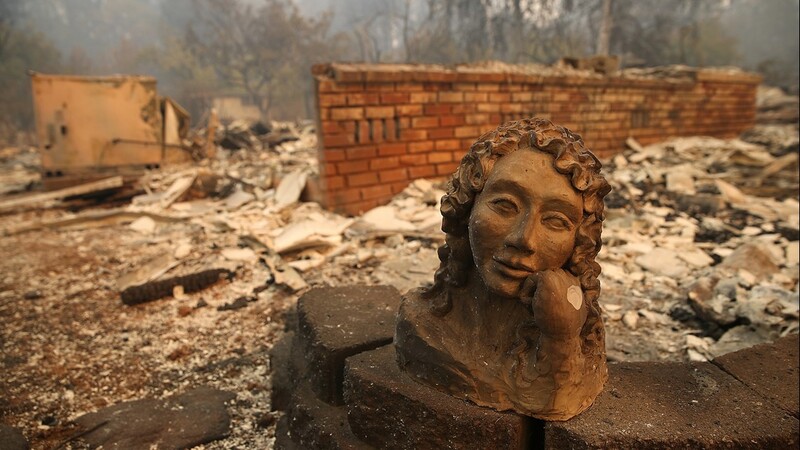 Authorities doing the somber work of identifying the victims of California's deadliest wildfire are drawing on leading-edge DNA technology. But experts say older scientific techniques and deduction could also come into play. 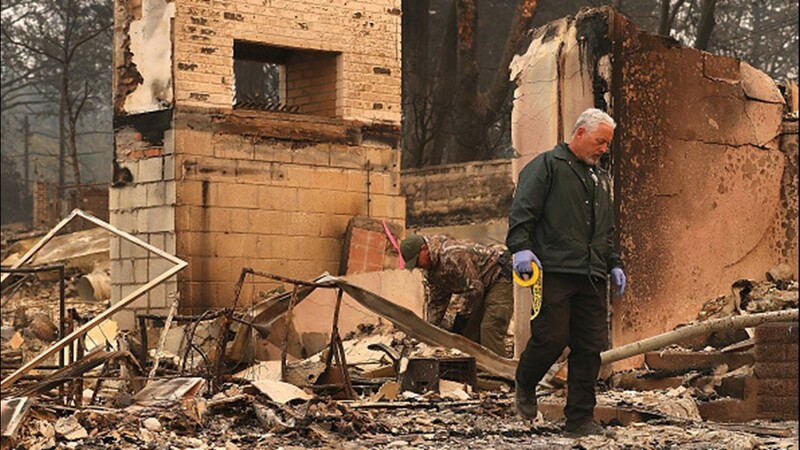 With the death toll from the Northern California blaze topping 40 and expected to rise, officials said they were setting up a rapid DNA-analysis system, among other steps. Rapid DNA is a term for portable devices that can identify someone's genetic material in a couple of hours, rather than days or weeks. UC Davis Medical Center currently has 10 patients that are being treated from the Camp Fire. Of the 10 patients, 9 of them are at UC Davis and the other is being cared for by their team at Shriners Hospital. Eight of the patients at UC Davis are said to be in fair condition and the other is said to be in critical condition. The condition of the patient at Shriners is currently unavailable. 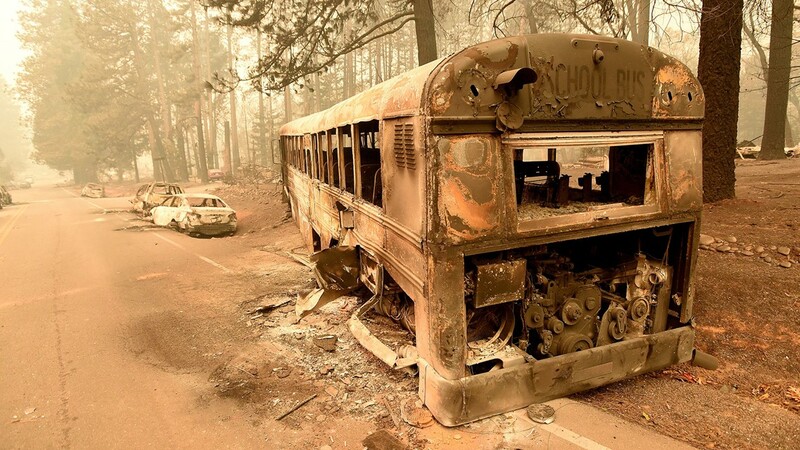 Not every student will be able to meet the college admission application deadline due to the California wildfires, so the California State University system will be offering deadline extensions for the students that have been impacted. 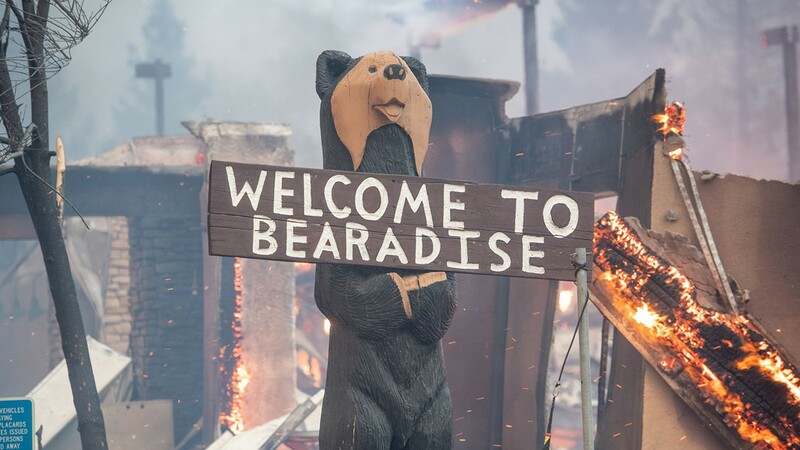 California State University [CSU] is offering admission application deadline extensions for students who were impacted by the wildfires in California. The original deadline is Nov. 30, 2018, however, those impacted students can request a deadline extension and prevent a current tragedy from impacting their immediate academic future. To apply for an extension, the student will need to make a profile on the CSU website and add the programs they would like an extension for. 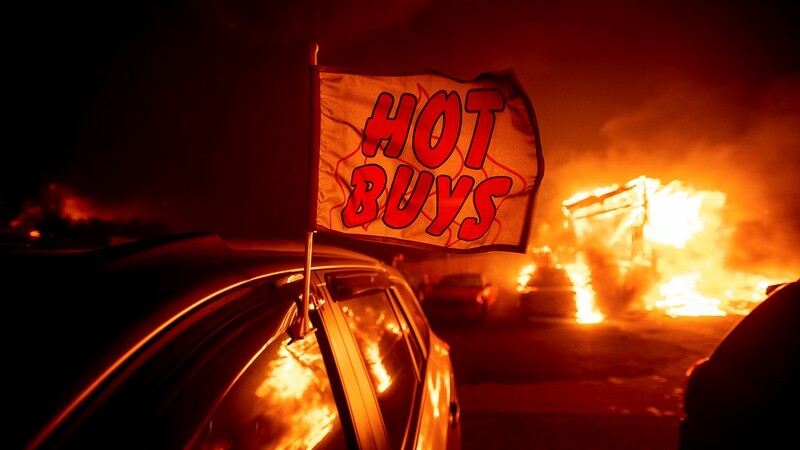 Requests can be emailed to calstateapply@calstate.edu with the subject line: "Extension Request – Fire Event." The request will need the student's full name and CAS ID number from the Cal State application. Incomplete requests will be returned and may delay the process. These requests must be done prior to November 30. After that date, requests must be made directly to CSU campuses. If you've been impacted by the Camp Fire and are looking for your pet, UC Davis veterinary hospital has made a Facebook photo album for found pets. The album includes cats currently under their care with no identified owner. It will update with more images as more animals come in. Animals without owners are technically considered property of the Animal Services division in the county from which they come, and those animals stay hospitalized until they are healthy enough to be returned to those authorities. If you believe the hospital has found one of your pets, email ucdavisvetmed@gmail.com. You'll need to provide a photo ID of your missing pet if possible. If you'd like to donate to help with their care, click HERE. A fire official says crews have made "a lot of progress" in preventing a deadly Northern California from reaching Oroville, a town of 19,000 people. 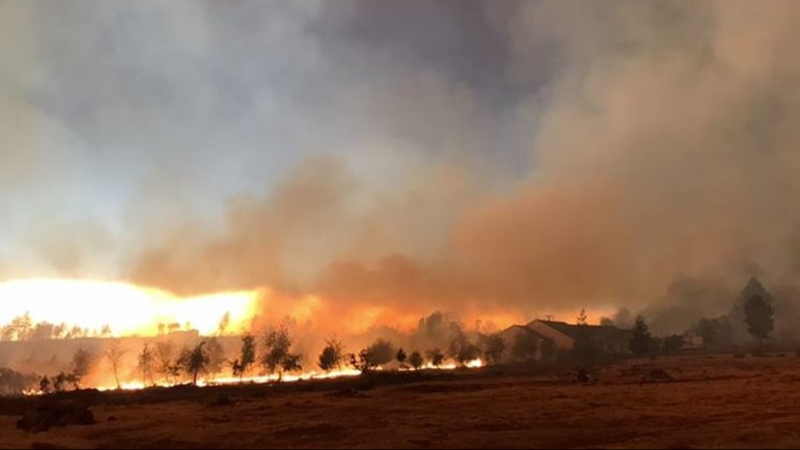 California Department of Forestry and Fire Protection operations chief Josh Bischof said Tuesday that firefighters on foot and in bulldozers are working south of the town of Paradise. 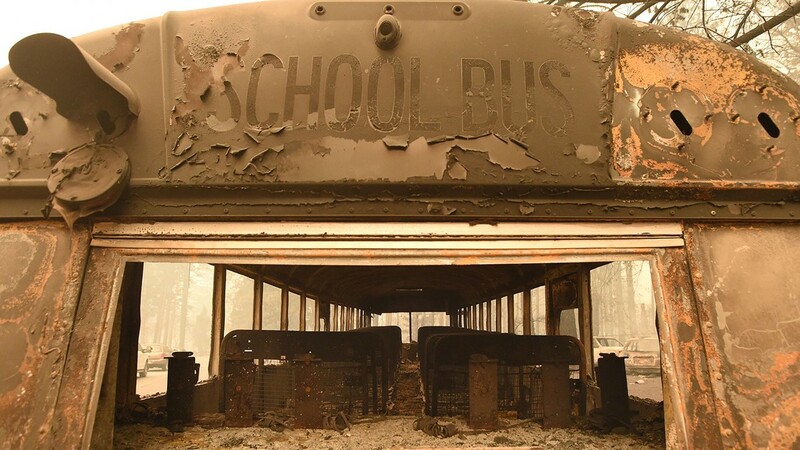 It was leveled by the blaze that started last Thursday. Officials had worried strong winds could spread the wildfire toward Oroville and the Oroville Dam, the nation's tallest. Firefighters on Monday cleared brush and sprayed water on vegetation near the dam. Bischof says "we're feeling a lot better about this area." More than 5,000 firefighters are battling the fire that killed at least 42 people in Paradise and nearby communities. The daughter of one of three named victims from the Northern California wildfire says that Ernie Foss Jr. was a musician and former San Francisco resident who shared his love of music with others. 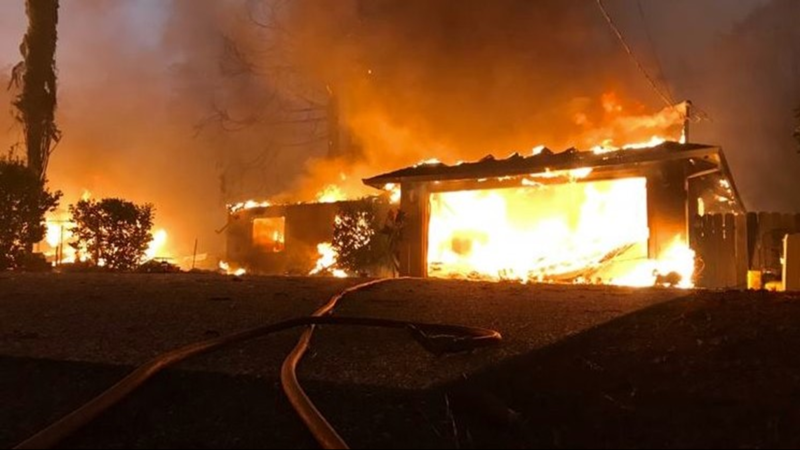 Angela Loo told KTVU-TV on Sunday that the family is devastated by the death of her father, one of at least 42 people killed by the fire. She says Foss moved to the town of Paradise eight years ago because of the San Francisco Bay Area's high cost of living. Loo says he taught music from their home near the city's famous Haight Street and turned their living room into a studio. KTVU reports Foss and his dog, Bernice, were found outside their home on a street where several other victims were also found. Foss had advanced lymphedema and could not walk. The Butte County sheriff's office listed his age as 65, but records show he was 63. Carl Wiley, 77 of Magalia, was also one of the 42 victims who have died from the Camp Fire. His son James Wiley says he was tire recapper for Michelin and describes his father as a stoic figure. Wiley said his father will be buried next to his wife, Mary Lee, and share a small headstone with her in the small town where he died. Carl Wiley's wife passed away from cancer about three decades ago. According to the National Weather Service, wildfire smoke will continue impacting northern California communities. Schools like UC Davis and Sacramento State have canceled classes for Tuesday due to air quality conditions. President Donald Trump says there are more victims of the California wildfires "than anybody would ever even think possible." Trump thanked firefighters, first responders and the Federal Emergency Management Agency for doing their jobs with "courage in the face of very grave dangers." 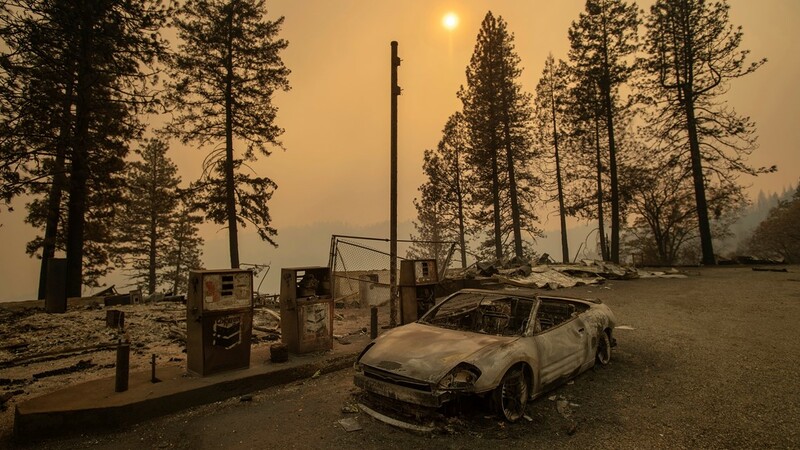 Dozens of people have died, thousands of homes have been destroyed and thousands of people have been evacuated and in the wildfires scorching both ends of the state. Trump spoke about the fires Tuesday at the beginning of a White House ceremony about the Hindu festival of lights. 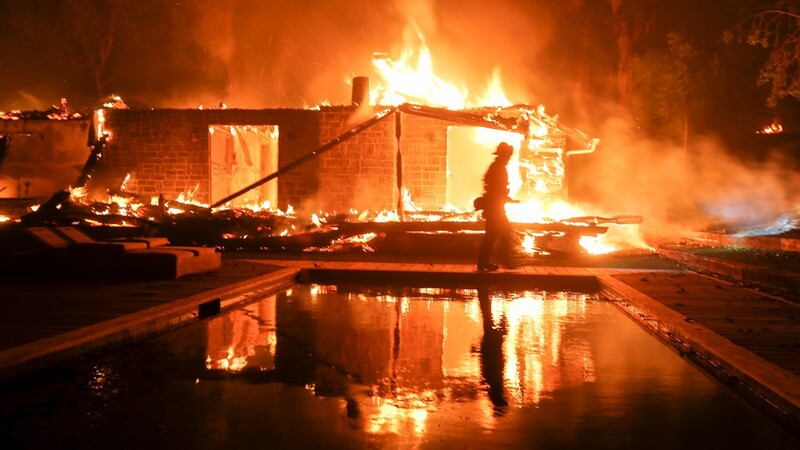 Fire crews battling a Northern California blaze that leveled a town and killed at least 42 people made gains overnight and prevented the blaze from advancing toward a town of 19,000 people. The California Department of Forestry and Fire Protection said Tuesday that firefighters held containment lines to slow the wildfire's advance toward Oroville. 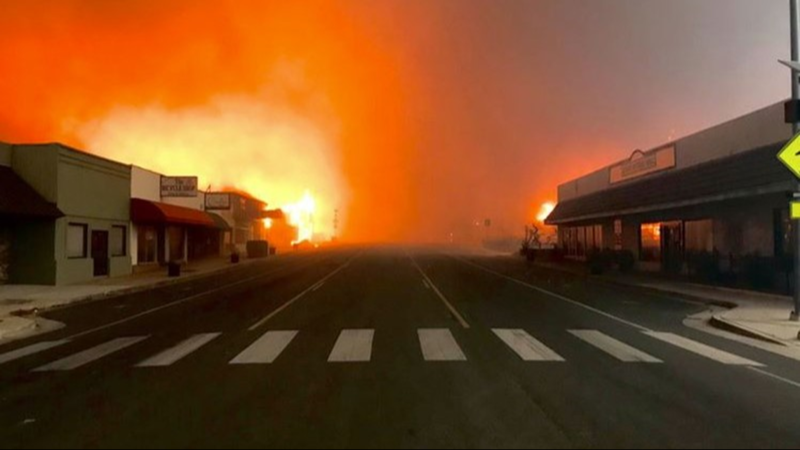 Officials say more than 5,000 firefighters are battling the blaze that destroyed the town of Paradise and has charred 195 square miles (505 square kilometers) since it started Thursday. The blaze is 30 percent contained. Milder winds of up to 25 mph (40 kph) are expected in the area Tuesday. But fire behavior specialist at Cal Fire Jonathan Pangburn says the there's plenty of bone dry vegetation ready to burn "really fast and hot." 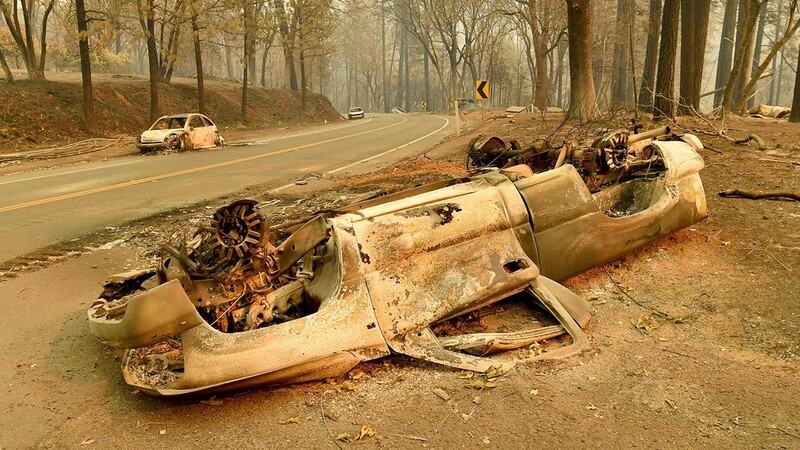 The wildfire has destroyed more than 6,400 homes and displaced 52,000 people. 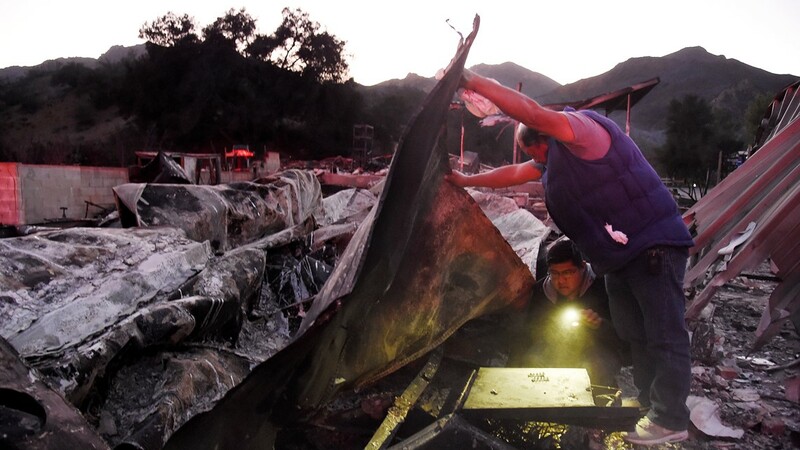 PARADISE, Calif. (AP) — Authorities moved to set up a rapid DNA-analysis system and bring in cadaver dogs, mobile morgues and more search teams in an intensified effort to find and identify victims of the deadliest wildfire in California history, an inferno that killed at least 42 people. 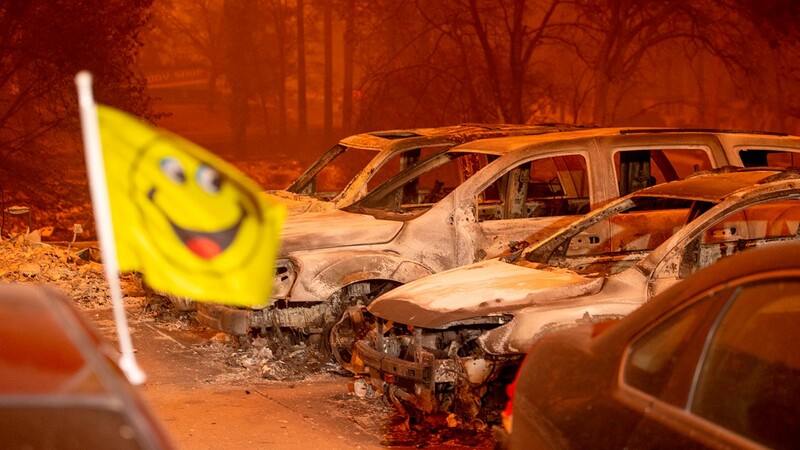 Five days after flames all but obliterated the Northern California town of Paradise, population 27,000, officials were unsure of the exact number of missing. But the death toll was all but certain to rise. "I want to recover as many remains as we possibly can, as soon as we can. Because I know the toll it takes on loved ones," Butte County Sheriff Kory Honea said Monday night as he announced the discovery of 13 more dead. More than a dozen coroner search-and-recovery teams looked for bodies across the apocalyptic landscape that was once Paradise, while anxious relatives visited shelters and called police and hospitals in hopes of finding loved ones. 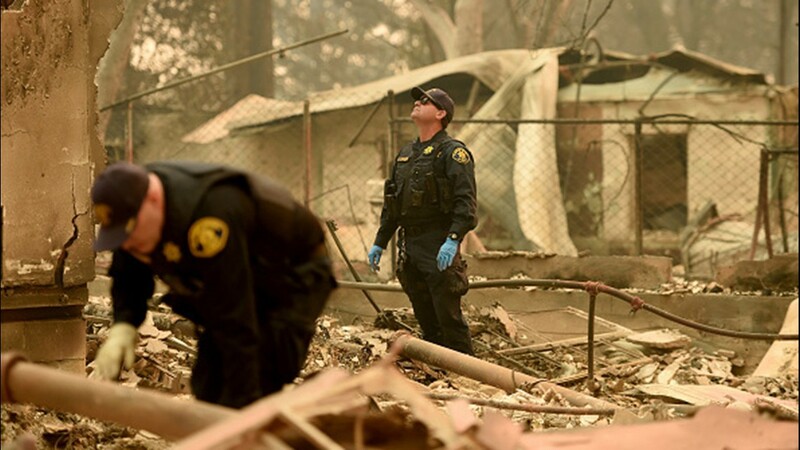 Alameda County Sheriff Coroner officers search for human remains at a burned residence in Paradise, California on November 12, 2018. 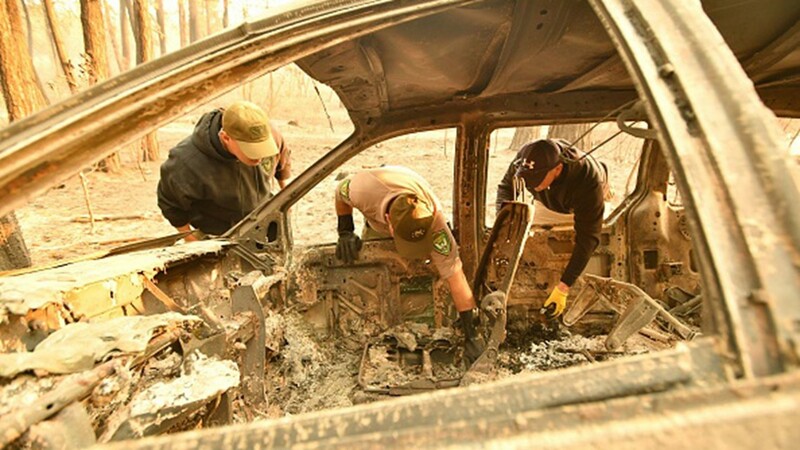 Yuba and Butte County Sheriff officers discover bone fragments inside a burned vehicle in Concow, California on November 11, 2018 after the Camp fire ripped through the area. 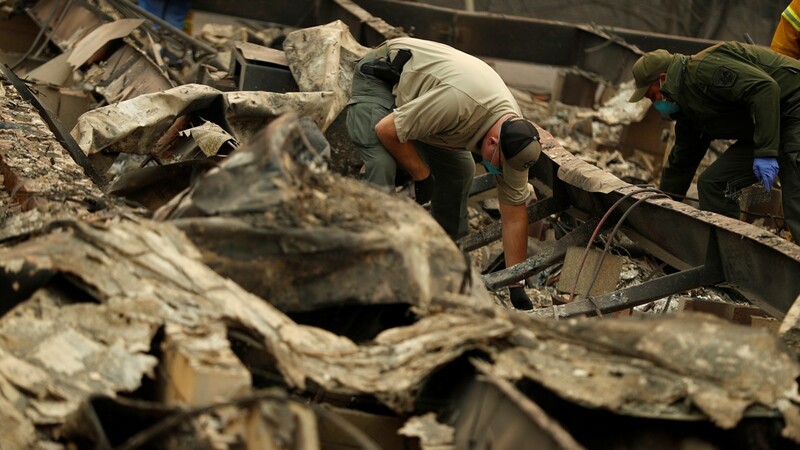 A Butte County sherriff deputy searches the property of a destroyed home for a reported Camp Fire victim on November 10, 2018 in Paradise, California. 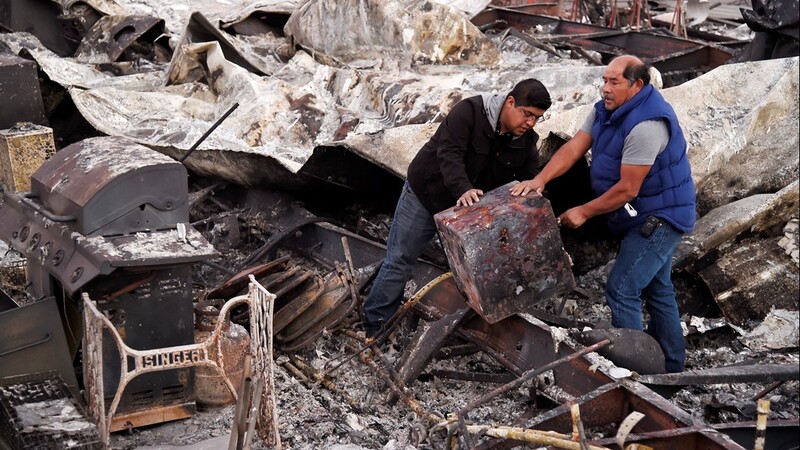 Deputy Coroner Justin Sponhaltz, of the Mariposa County Sheriff's Office, recovers human remains found at a home destroyed by the Camp Fire, Sunday, Nov. 11, 2018, in Paradise, Calif.
Santos Alvarado, right, and his son Ricky recover a safe deposit box from their destroyed home at Seminole Springs Mobile Home Park, Sunday, Nov. 11, 2018, following devastating wildfires in the area in Agoura Hills, Calif.
A burned out hot tub and a fireplace are all that remains of a house in Point Dume, Malibu, Calif., Sunday, Nov. 11, 2018. 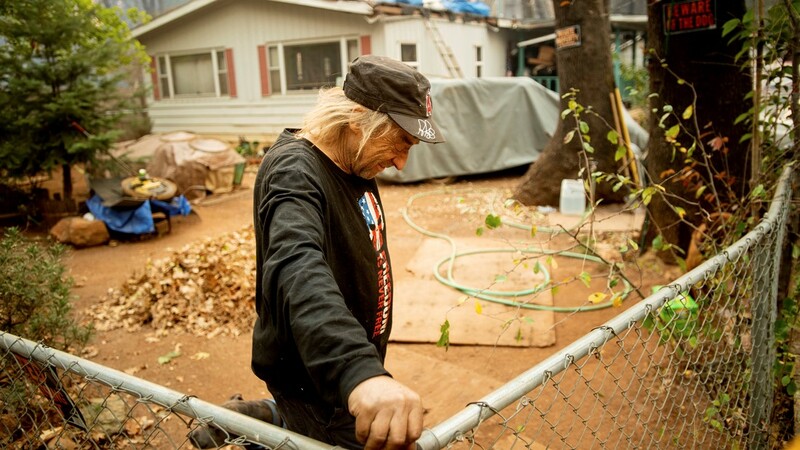 Jimmy Clements, who stayed at his home as the Camp Fire raged through Paradise, Calif., leans against his fence, Sunday, Nov. 11, 2018. 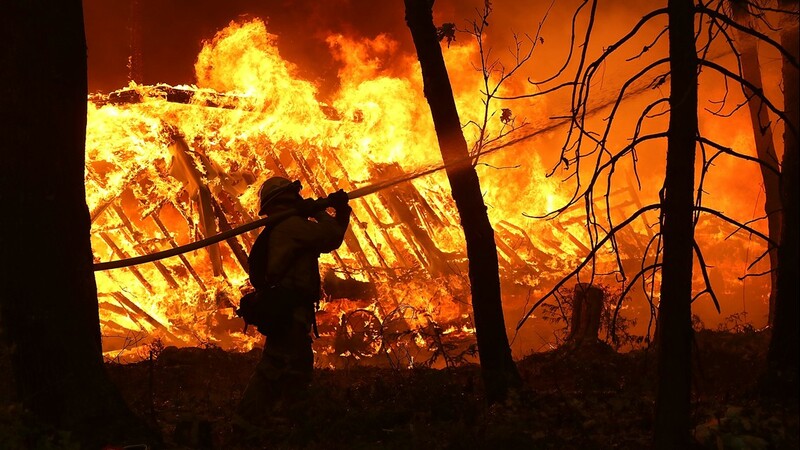 A Cal Fire firefighter sprays water on a home next to a burning home as the Camp Fire moves through the area on November 9, 2018 in Magalia, California. 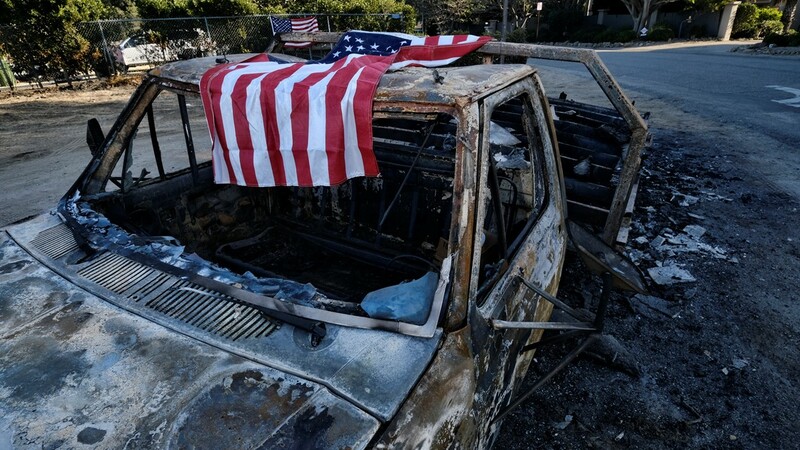 An American flag is draped over the charred remains of an old pickup truck entering Point Dume along the pacific coast highway in Malibu, Calif., on Sunday Nov. 11, 2018. A firefighter walks by the a burning home in Malibu, Calif., Friday, Nov. 9, 2018. 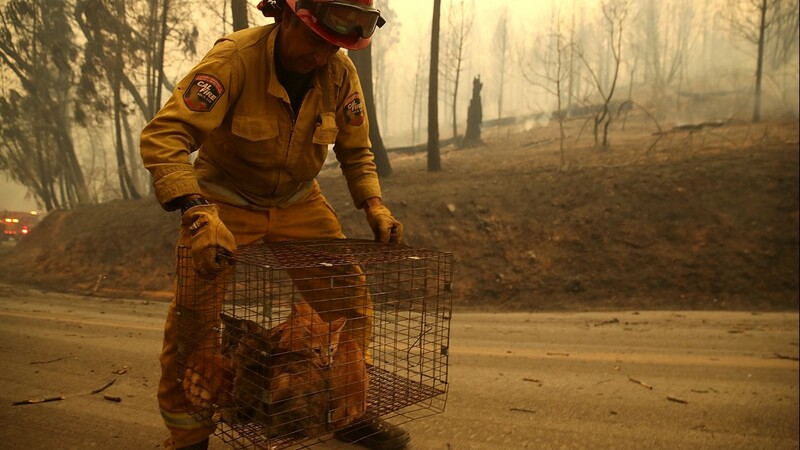 Cal Fire Captain Steve Millosovich carries a cage full of cats that were found in the road after the Camp Fire moved through the area on November 9, 2018 in Big Bend, California. Smoke billows from the Camp Fire as a firefighting helicopter flies near Pulga, Calif., on Sunday, Nov. 11, 2018. 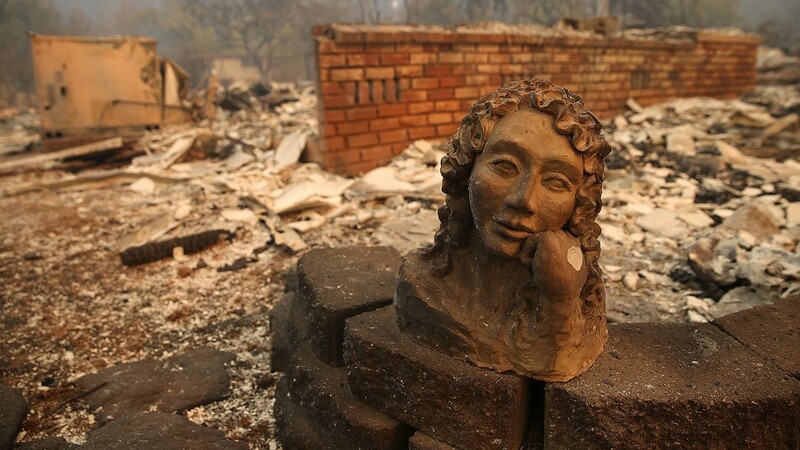 A statue remains in front of a home that was destroyed by the Camp Fire on November 10, 2018 in Paradise, California. 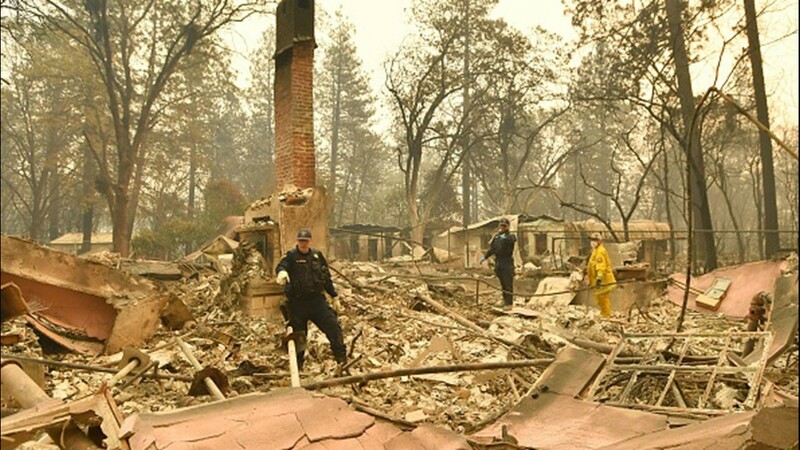 A Butte County sherriff deputy stands by at a destroyed home where a deceased victim of the Camp Fire on November 10, 2018 in Paradise, California. 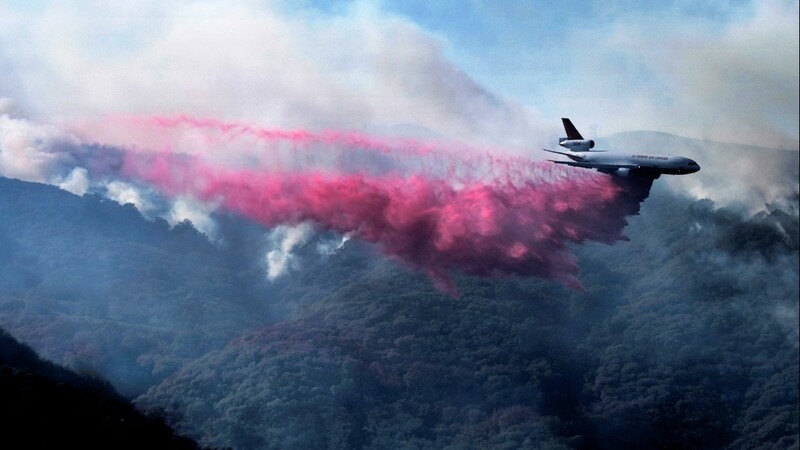 A firefighting DC-10 makes a fire retardant drop over a wildfire in the mountains near Malibu Canyon Road in Malibu, Calif. on Sunday, Nov. 11, 2018. 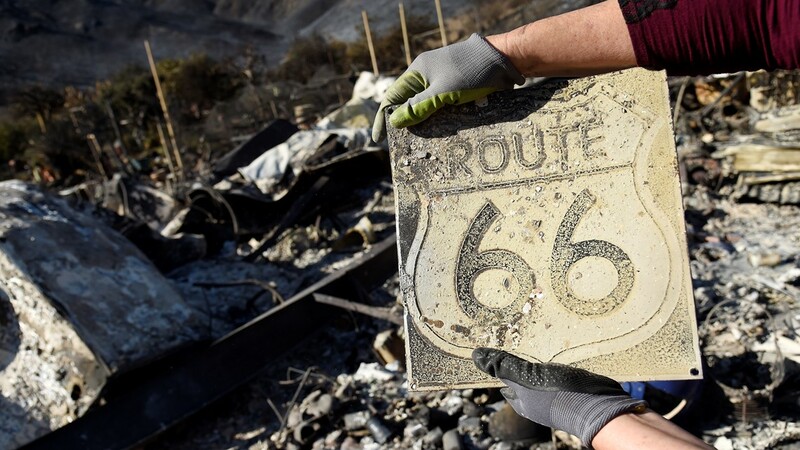 A firefighter rests after helping to find human remains found at a burned out home at the Camp Fire, Sunday, Nov. 11, 2018, in Paradise, Calif.
Donna Phillips shows a charred Route 66 sign she found among the possessions of her friend Marsha Maus, Sunday, Nov. 11, 2018, after wildfires tore through the Seminole Springs Mobile Home Park in Agoura Hills, Calif.
Santos Alvarado, right, and his son Ricky search for belongings at their destroyed home at Seminole Springs Mobile Home Park, Sunday, Nov. 11, 2018, following devastating wildfires in the area in Agoura Hills, Calif.
A firefighter sprays water on the remaining hot spots in an area in West Hills, Calif., Sunday, Nov. 11, 2018. Lisa Jordan drove 600 miles (1,000 kilometers) from Yakima, Washington, to search for her uncle, Nick Clark, and his wife, Anne, who lived in Paradise. Anne Clark has multiple sclerosis and cannot walk. Jordan said no one seemed to know whether they were able to get out or whether their house was still standing. "I'm staying hopeful," she said. "Until the final word comes, you keep fighting against it." 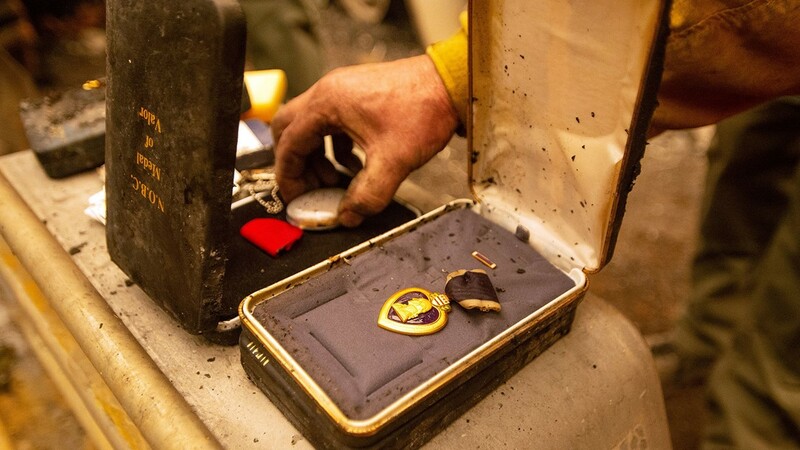 Authorities said they were bringing in two mobile morgue units from the military, requesting an additional 150 search-and-rescue personnel, and seeking the setup of a rapid DNA system to speed the analysis of remains. 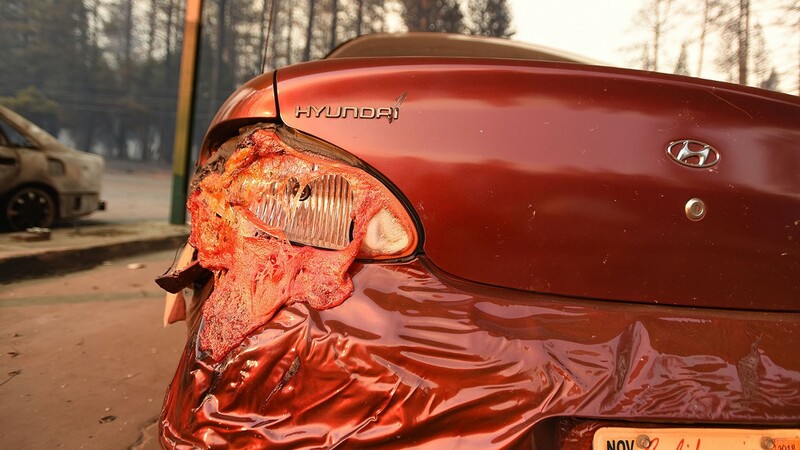 The flames were so fierce that they melted metal. In some cases, search crews found only bones or bone fragments, which were duly put in body bags. Investigators are consulting forensic anthropologists for help in identifying the remains. Chaplains accompanied some coroner search teams that visited dozens of addresses belonging to people reported missing. 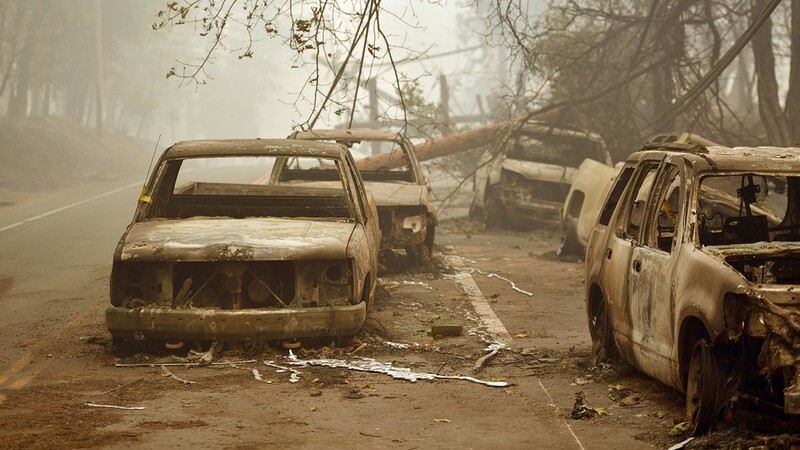 No cars in the driveway was a considered a good sign, one car a little more ominous and multiple burned-out vehicles more reason for worry. Meanwhile, state investigators trying to establish the cause of the inferno appeared to be zeroing in on Pacific Gas & Electric Co. power lines. A landowner near where the blaze began, Betsy Ann Cowley, said PG&E notified her the day before the blaze that crews needed to come onto her property because the utility's wires were sparking. Investigators have since declared the area a crime scene. 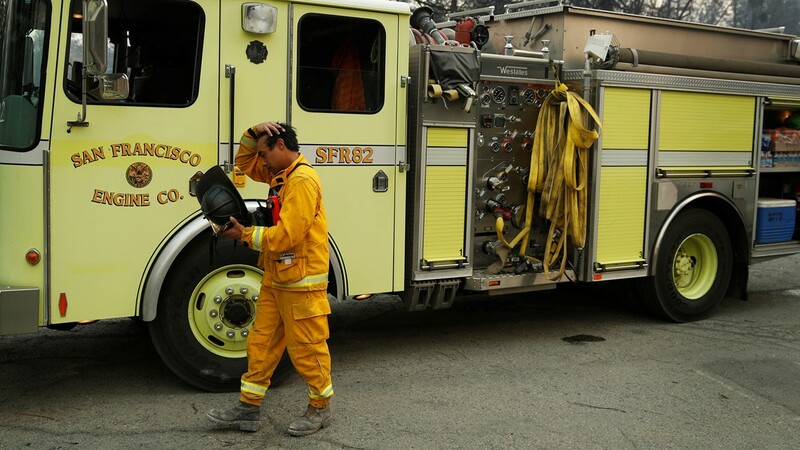 PG&E had no comment on the landowner's account but acknowledged last week that it was having problems with its transmission lines in the area just before the fire erupted. More than 5,000 firefighters battling the blaze made gains overnight, slowing the flames' advance toward Oroville, a town of about 19,000 people. 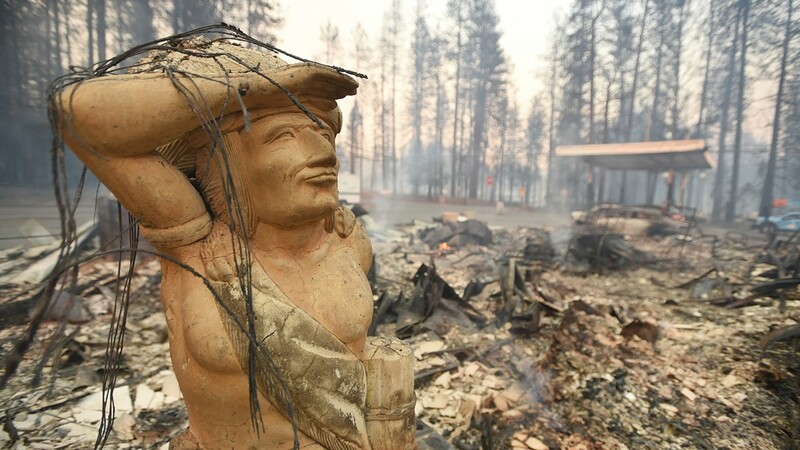 The fire, which has charred 195 square miles (505 square kilometers) and destroyed more than 6,400 homes since it started Thursday, was reported 30 percent contained. 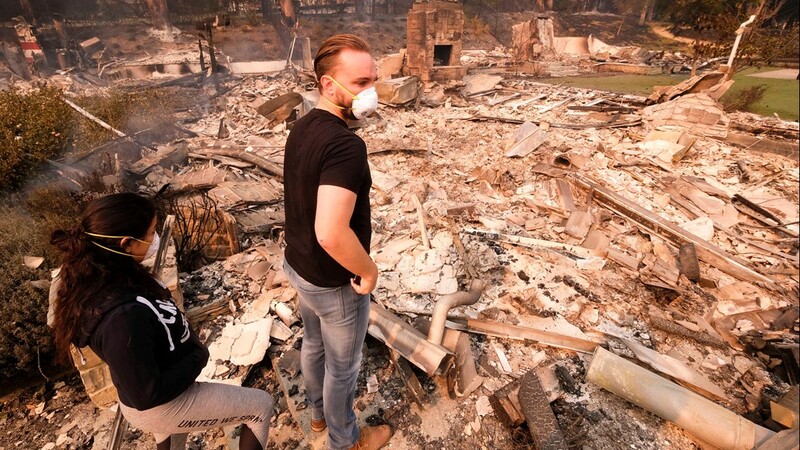 At the other end of the state, in Southern California, firefighters continued making progress against a blaze that killed two people in star-studded Malibu and destroyed over 400 structures. Crews lit backfires and extended containment lines overnight. 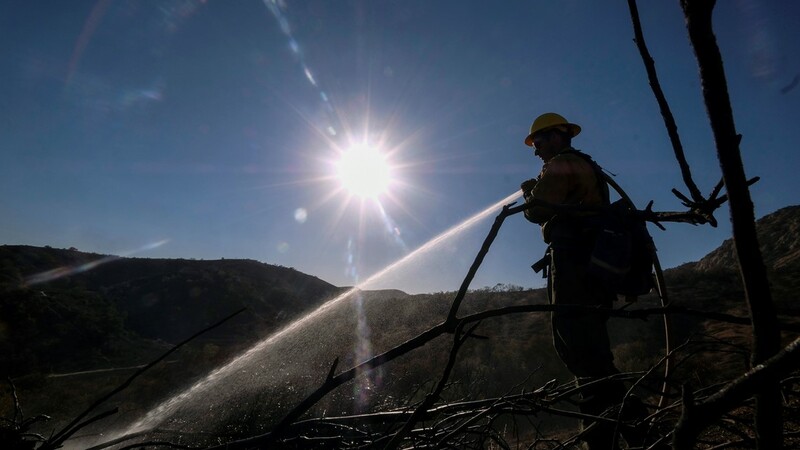 Officials said they expected to have the more than 146-square-mile (378-square-kilometer) fire fully contained by Thursday. The fire burned through part of a former research site that once housed a nuclear reactor and has been undergoing a years-long waste cleanup. But measurements taken over the weekend found no elevated levels of radiation, the state Department of Toxic Substances control said in a statement. 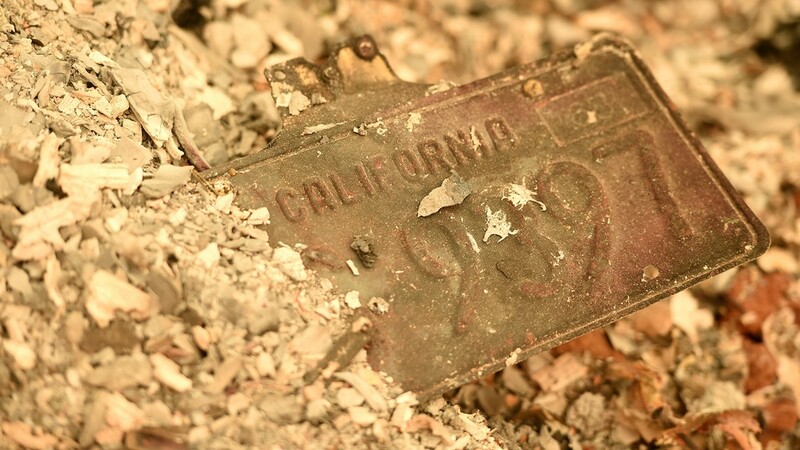 The 42 dead in Northern California surpassed the deadliest single fire on record, a 1933 blaze in Griffith Park in Los Angeles. 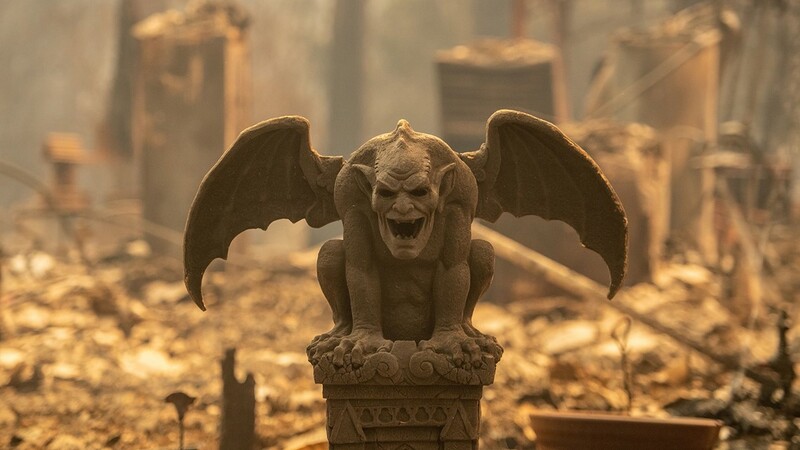 A series of wildfires in Northern California's wine country last fall killed 44 people and destroyed more than 5,000 homes. Contributing to this report were Associated Press writers Sudhin Thanawala, Janie Har, Jocelyn Gecker and Daisy Nguyen in San Francisco and Andrew Selsky in Salem, Oregon.